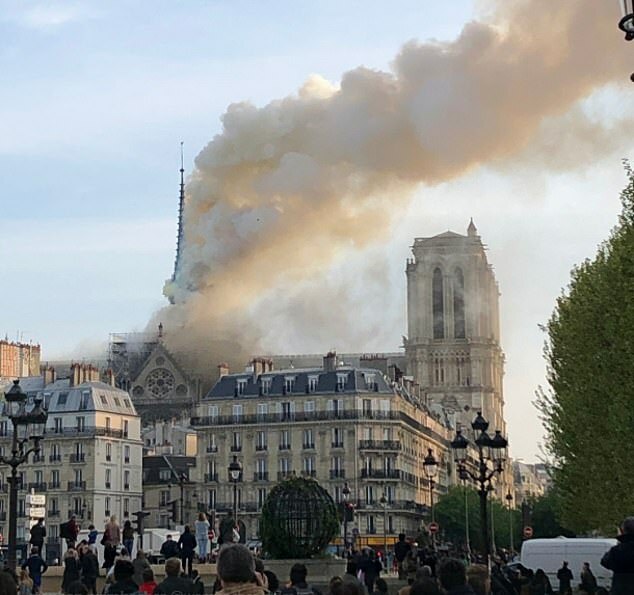 Smoke has been seen billowing out of the world-famous Notre-Dame cathedral in Paris after it caught fire this evening. Photo from a Dutch news site. This does not look good for this hystorical landmark. Look who's going to get a visit from Interpol. Asshat45 has advice for every situation. Right? "And when California burns you threaten to take away federal support... "
Oh this is horrible. I visited a few times in my youth, incredibly beautiful architecture. Man. I could not care less what the Donald thinks about this. We might loose one of the important European landmarks tonight. The spire has fallen and it doesn't look good. The whole roof looks to be gone, too -- and the walls aren't looking very straight any more. Man, that's awful. The thing can be rebuilt, but so much is now lost. The rose windows were still the original stained-glass from like the mid-1200's. As long as the flying buttresses are standing... the choir has a chance. But if there's too much water on it, which cannot flow away, it might get problematic. Oh, no! This is incredibly sad. I hope that everyone is okay. News reports appear to be saying nobody has been hurt. Im not religious, but I love my Goth, and this was one of the most beautiful Gothic buildings in the world. The Northern tower (one of the two main towers of the church) is burning as well and might collapse. 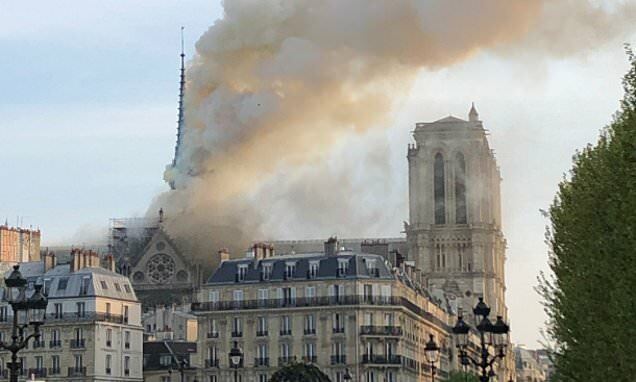 If that happens that will be pretty much the end of the Notre Dame, because the whole stability of the building will be pretty much gone then. The crowds are singing as they watch. Does anyone know what that song is?